I can't tell you how many times I have expressed something I was feeling with the simple phrase, "Listen to this song." You've probably done it too. Most of us have, at one time or another. When we can't find the words, we tap into the well where others have already done so. 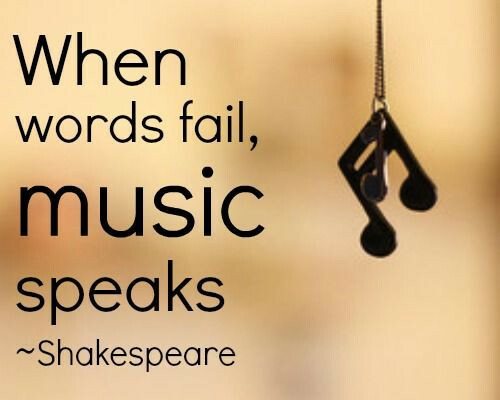 Music says things that we are sometimes unable to say for ourselves. Make sure that you are listening.